Simple, little things can make such a difference. I have been struggling of late to feel connected to God. I have felt like straight-up, old school discipline (which has been in short supply itself!) has been the only thing holding my relationship with God together. But when things begin to feel forced, I tend to want to drop them. And so there’s the potential for a “death spiral” to begin: The less I’m “feeling it” the less I want to try which means, of course, I “feel” it less, and so on. 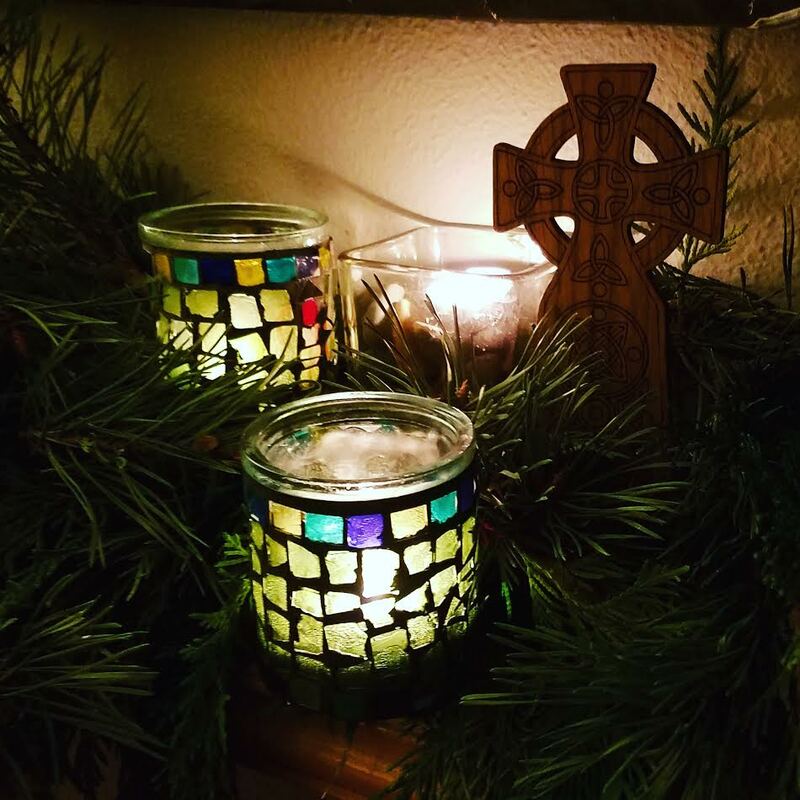 The Evergreens: A co-opted pagan practice used to remind us of eternal life, and the promise of it’s reality made possible through the Incarnation. The Candles: Light has entered the world, but the darkness has not overcome it! Even in deepest winter, light can and will prevail. Simple little things can make such a difference. Nice job on the mantle. One thing I like about the Advent season in Germany is that it is alive and well .. albeit for most people it doesn´t have any sort or Christian signficance. That´s O.K. though … Cordelia and I know what makes the season so important.